What Are Cluster Headaches - And What Gets Rid of Them? It’s no exaggeration that cluster headaches bring some of the most profound levels of pain known to mankind. Patients have described cluster headache pain as a hot dagger being poked through the eye and into the brain. Our apologies for the very graphic description but seriously, the pain is intense. Women have compared cluster headaches to the pain of childbirth, while men describe it as the worst pain they’ve ever known. Frequent attacks, or cluster periods, can last from weeks to months, usually followed by remission periods when the headaches stop. During this remission period, patients are free from headaches for months or even years. Unfortunately, these headaches usually return. A cluster headache might, for example, wake you up in the middle of the night with intense pain around one eye on one side of your head. The good news: the right treatment can bring relief, shorten your cluster headache attacks and make them much less severe. Excruciating pain. It’s often around one eye but may also move to your face, head, neck, and shoulders. Tearing, redness, or swelling of the eye on the affected side. Stuffy or a runny nose on the affected side. Pale skin or flushing of your face. 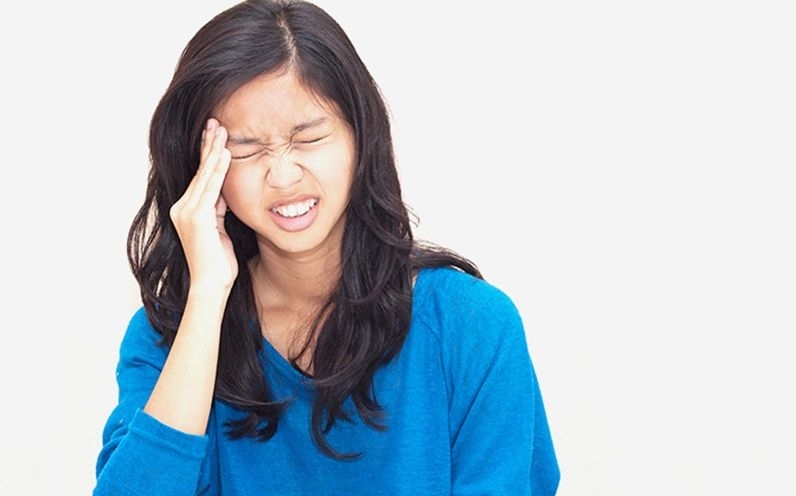 While some migraine-like symptoms may occur, including sensitivity to light and sound, hallmarks of cluster headaches often include a panicky urge to pace, sit, or rock back and forth. In general, a cluster period lasts between six and 12 weeks, with the starting date and the length of each cluster staying relatively consistent each time. For instance, cluster periods can crop up every Spring or every Fall. Cluster periods might continue for more than a year, or pain-free periods might last less than one month. During these cluster periods, headaches typically occur each day, even several times a day. A single headache can last from 15 minutes to three hours and typically, attacks occur at the same time each day, usually striking at night. When a cluster period is over, the pain comes to a sudden end leaving patients free of pain but thoroughly exhausted. And, wondering how they can keep this type of headache from ever happening again. If cluster headaches are brand new for you, it’s wise to visit your doctor to rule out more serious medical issues. To determine a diagnosis, your doctor will ask about your symptoms, the intensity and frequency of your headaches, and will likely do a neurological exam testing your senses, reflexes, and nerves. For more severe or unusual cases, imaging tests such as a CT scan or MRI might also be recommended. The exact cause of cluster headaches is unknown, but cluster headache patterns suggest that disruptions in your body’s biological clock may play a role. Unlike migraine and tension headaches, cluster headaches generally aren’t associated with triggers, like certain foods or stress. Chiropractic care is effective for cluster headaches because it treats the whole patient and focuses on healing your body naturally, without the use of expensive medications full of side effects. When you’re experiencing a cluster headache, your body is sending you a clear message that something is wrong. While there’s no cure for cluster headaches, treatment that’s customized around the structure of your body– how it functions and its healing patterns– will be more successful in providing lasting relief. Chiropractic care also ensures your body is operating at peak performance by improving brain-body communication. Chiropractic adjustment, a gentle pressure strategically applied to different parts of your body, restores joint motion and proper nervous system functioning. For cluster headache treatment, the focus is on the upper cervical joints, more commonly known as the “upper neck.” Once joint motion is restored through chiropractic adjustment, your nervous system can relax and function much more efficiently. The tightness in your cervical spine muscles decreases and the rigidity often melts away. While every patient is different, most report on-the-spot relief. Avoiding alcohol. If you are at risk for cluster headaches, alcohol can increase your chances of having another attack. An exercise plan, including outdoor activities. Many patients find fresh air helps with their cluster headaches. Magnesium. Cluster headache sufferers often have low blood levels of magnesium, an essential mineral your body needs to maintain healthy nerve and muscle function, support your immune system, maintain a steady heartbeat, keep your bones strong, and more. Vitamin B2 for maintaining blood cells, boosting energy levels, and reducing inflammation. Melatonin, which can be powerful when used before your cluster headaches begin. Educating yourself and understanding the intricacies of your headaches is a good start. Now it’s time to take the next step; discuss your symptoms with experienced medical professional and begin your holistic treatment regimen. While there’s no cure for cluster headaches, it is possible to reduce the frequency and severity of your attacks. Call us – we can help. You can schedule an appointment online or call our office at (949) 397-6699. Note: This article is for informational purposes only, and is not a substitute for in-person medical advice or care.